Acne is an incredibly common condition capable of causing physical and emotional scarring. How many times has a breakout of acne caused you stress and embarrassment? At one time or another, we’ve all been there. Fortunately, acne can be properly managed to minimize breakouts and limit their effects. Acne: Just What Exactly is it? Acne is caused when hair follicles on the skin become clogged with oils and dead skin cells. Although people most typically think of facial acne, it can essentially affect any area of the skin, notably the face, back, chest and shoulders. Blackheads and whiteheads – referred to technically as comedones – occur when oils clog the hair follicles. If a clog is open it is a blackhead, and if it is closed it is a whitehead. These names are derived from the black and white colors produced from the respective clogs. Papules are the small, red bumps. They are often tender and can cause discomfort. Pustules – or pimples – differ from papules in that they have white, pus-filled tips. Nodules occur beneath the surface of the skin, and can be large and painful. Cysts also are large, pus-filled lumps beneath the skin that can cause pain and scarring. The primary causes of acne are the overproduction of oils in the skin, irregular buildup of bacteria, and abnormal shedding of dead skin cells. However, these causes can be exacerbated by lifestyle, diet, hormones, medications and stress. Many people incorrectly associate acne with dirty skin. The truth of the matter is that acne can affect people with clean skin. When oils and dead skin cells plug hair follicles, they create an environment in which bacteria can grow. This in turn results in acne. Yeah, Yeah, Clogged Follicles, we Get it… How do we Treat it? It’s helpful to know what acne is and what causes it. But most people simply want to know how to treat it. Well, the good news is that there are a variety of acne treatments available to treat severe breakouts and scarring. HAVE YOU TRIED DIFFERENT ACNE TREATMENTS? Over-the-counter topical ointments like Clearasil® and Noxzema® are a commonly used solution to acne. These inexpensive creams have active ingredients that may include benzoyl peroxide, sulfur, resorcinol, salicylic acid or sulfur, all of which can kill bacteria buildups causing minor acne outbreaks. Although initial use may result in mild skin irritation, these over-the-counter acne treatments are quite safe. Prescription ointments are available to help tackle more severe acne that does not respond to over-the-counter options. There are a range of prescription lotions prescribed by dermatologists for stubborn acne, including Avita®, Retin-A® and Avage®. Their mode of action helps prevent hair follicle clogging that causes bacteria buildup. It is not uncommon for dermatologists to prescribe multiple ointments to best treat acne. Side effects associated with the use of prescription acne ointments may be more common than those associated with over-the-counter alternatives. 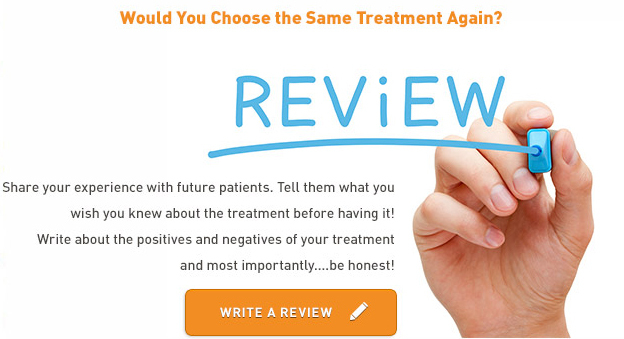 Patients are advised to discuss any/all adverse reactions with their dermatologist to best manage a response. This may be as simple as improved washing off of the medication, or selecting an alternative prescription option. Lotions and ointments are not the only manner with which to treat acne. A doctor or dermatologist may prescribe antibiotics to tackle more severe acne breakouts. One concern with this is potential antibiotic resistance that can develop as a result of prolonged use. Dermatologists therefore often recommend a bare minimum antibiotic course that should be discontinued once symptoms begin to subside. There are a variety of cosmetic treatment options that can help combat acne and its effects, including chemical peels and microdermabrasion. However, cosmetic treatments are most typically performed in conjunction with some other treatment modality to produce the best results. Laser light therapy targets the deep, underlying layers of dermis to prevent further harm to the surface of the skin. The two-pronged approach uses laser energy to inhibit the production of oil glands, and light therapy to kill bacteria causing acne outbreaks. Laser light therapies are still in their infancy, so further research is required to determine an optimal methodology for acne treatment. However, the treatment has proven effective in combating acne and acne scarring, while improving skin texture. Severe acne outbreaks not properly treated can result in long-term scarring. Fortunately, there are a number of additional treatment options for people with acne scarring. Soft tissue fillers injected beneath acne scar indentations may provide cosmetic relief; however, these injections are not a permanent solution, and require repeat treatment as much as two-to-three times per year. Some types of cosmetic fillers used to treat acne scars include Radiesse, Belotero, Restylane, Juvederm and Sculptra. Superficial chemical peels may be recommended as a solution to acne scarring. The least invasive of the chemical peels, superficial chemical peels are performed on an outpatient basis with minimal discomfort. Laser skin resurfacing offers another solution to stubborn acne scarring. By stimulating collagen production within the surface layers of the skin, non-ablative lasers can help to even out skin affected by scarring. Patients may see results in as little as one-to-three sessions. Although there are a variety of treatment options for acne and associated scarring, the best treatment modality may only be determined through consultation with a dermatologist of doctor. Acne Treatment Pricing: What’s it Going to Cost me? The cost of acne treatment varies drastically based on any number of factors, namely the type of treatment you receive and the severity of the acne it is treating. Over-the-counter creams and related ointments can cost $20 to $60 per month, whereas prescription-based treatments may cost in excess of $200 per month. Similarly, scarring treatments such as chemical peels or laser resurfacing may cost $150 to $250 per session. Price may also be affected by location, meaning that one dermatologist may charge more for laser resurfacing than another. It is important to discuss costs during the consultation process so that you are sure to select the best treatment for your acne, and your wallet.